Home 2019 Israel: Kobi Marimi wins HaKokhav HaBa 2019! After a marathon run in the competition’s fifth year, Israel’s artist on home soil has been decided – it’s Kobi Marimi to Tel Aviv! The 27-year-old singer from Ramat Gan, a city close to this year’s host city, won the Israeli selection process HaKokhav HaBa this evening and will therefore represent Israel in 2019. Tonight’s final saw the four remaining contestants perform once more, with Marimi performing The Beatles’ “Let It Be” and Bon Jovi’s “Always” and beating competition from Maya Buskila, Shefita and Ketreyah. Marimi is also notable as he had previously been eliminated from HaKokhav HaBa before being voted back in to the competition. 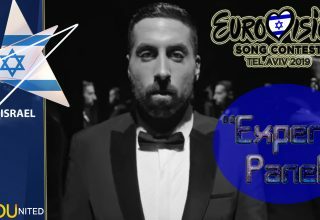 Kobi will qualify for the final of the contest on May 18th, with his song expected to be confirmed and announced on March 10th. #YOU can watch the performances from the show, including those of Kobi Marimi, right HERE. What do #YOU think of Kobi Marimi winning HaKokhav HaBa? Share your thoughts with us on our forum HERE or join the discussion below and on social media!